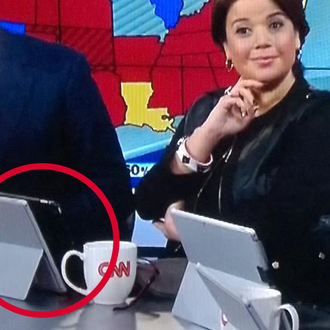 CNN’s partnership with Bing and Microsoft was going great until someone switched the camera angle. A CNN spokesman told Intelligencer that the tablets were not part of a product-placement deal, but were just meant to give every seat access to John King’s “My Magic Wall” map, which is optimized for Internet Explorer. For everything else, there’s still Apple.